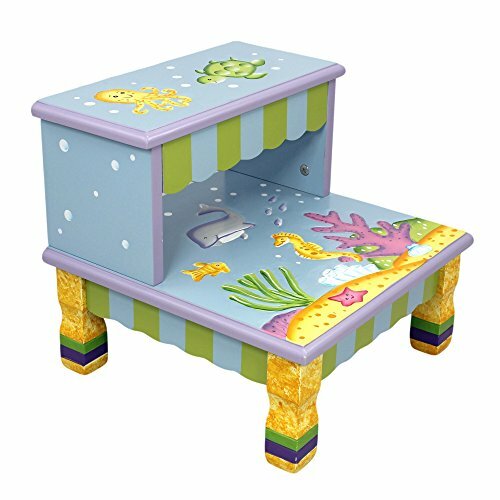 Make a splash with Fantasy Fields' Under the Sea Step Stool! Two tiered step stool offers the best place for your child to step up and reach high places. They can even use it as a seat if they run out of room on land! Step stool is made from quality hand carved wood, and features a scope of the ocean floor and hand painted illuminating graphics of sea life that would make even a marine biologist proud. Some assembly required. Perfect for ages 3 and up. Can also be used as a seat.